Prestige property. Dress circle location. 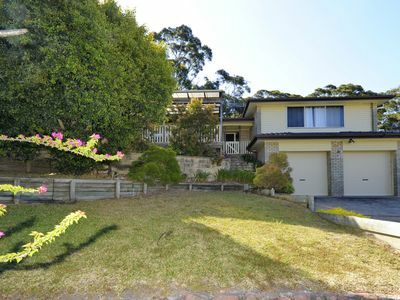 Outstanding waterfront family executive two story home in Coogee. Direct beach access. Extensive gardens. Period features combined with modern convenience. 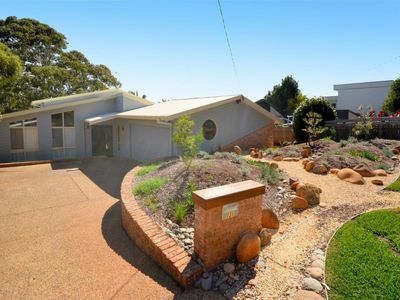 Multi million dollar property. Quiet. Spacious. Exclusive. Well located for access to all that Sydney has to offer. A place where memories are created.Views. Views. Views. 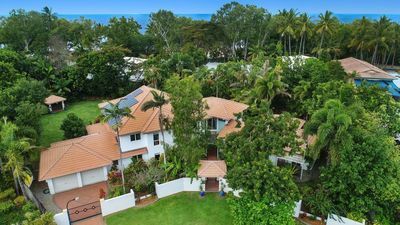 This spacious 2 story waterfront house offers a fabulous family or executive location.The house retains many of its period character features as well as a blend of new, modern comforts. Sleeps 8 comfortably in proper beds. Large, private, peaceful and luxurious. The views are stunning from every aspect. Expansive living areas take up the entire ground floor. All rooms have panoramic water views. All floors are polished hardwood 90 year old jarrah timber floors. A superb granite and Caesar stone gourmet kitchen leads to the eating area and onto its own balcony. Bi-fold doors retract back to allow the sea breezes in and uninterrupted views of the beach and the terraced gardens below. Adjacent is the family living area, the focal point of the house with its 10 metre floor to ceiling glass window views taking in a massive expanse of blue sky, horizon and ocean. 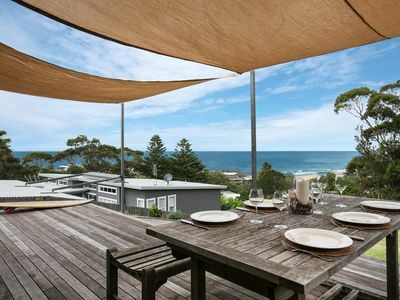 The full width balcony completes access to the outside and ocean views beyond. Views of the constant array of sailing boats, whales (in season) paddle boarders, scuba divers and swimmers are a constant from these rooms. The family room has its own gas Jetmaster fireplace and digital TV with surround sound. Luxury 3 seater , 2 seater and Ottoman lounge easily accommodate 8. On the same level lies the formal living room with its own set of floor to ceiling windows providing, at one end, a different view of the gardens and beach below; and at the other end the floor to ceiling windows view directly onto the private lawn, formal hedge and wrought iron fence. Also on this ground level there is a separate marble guest toilet and vanity. The internal laundry (complete with clothes shute from the second floor) retains a separate pull chain toilet and another shower. The formal living area has another formal lounge and wing chairs providing another separate retreat or gathering area..There is a second original marble wood burning fireplace to provide great ambiance. The internal laundry has a washing machine, and drier. 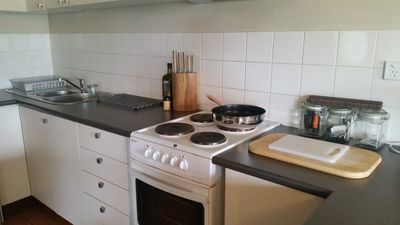 The house is fully furnished and equipped to a very high standard, bed linen, towels and all tableware and cooking facilities are all available. The front door opens into a separate wood paneled entry foyer. A New Zealand Kauri Pine formal wooden staircase weaves its way up to the first floor where the 4 bedrooms are located off a separate foyer with its own small balcony. The master bedroom contains a king sized wooden sleigh bed with superbly comfortable latex and pillow top mattress. A large attractive feature French style wardrobe with built in TV provides comfort in the master bedroom. Large curtained windows provide fabulous water views past the 2 tropical palm trees.A separate en-suite leads off the master bedroom. The shower screen (as with that in the main bathroom) has a wonderful artistic feature in its fiberglass small fish and netting patterned screen. A second bedroom has a double bed. A feature of this room also is its uninterrupted direct water views. The large central bedroom with 2 single beds and desk also has direct water views and leads out via French doors, as do the other two bedrooms, to a sun-room study office. 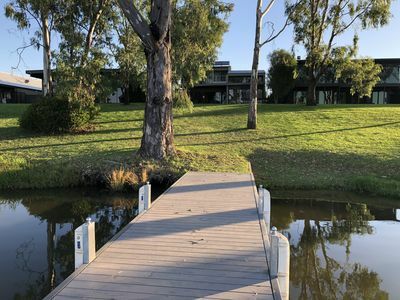 This in turn leads via external hinged doors onto a large, under cover, upper floor private balcony and a continuation of the impressive water views. Finally a bright, sunny fourth bedroom with Double bed and Burr Walnut wardrobe completes the bedrooms. On this level also is the main bathroom with bath and shower as well as a separate toilet (totaling 4 toilets and 3 showers in the house, not including the outside hot and cold shower to rinse sand off back from the beach). 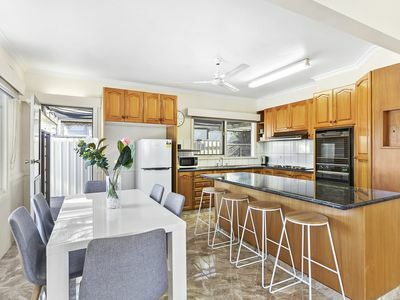 The house is blessed with space and outdoor areas to be able to take advantage of different times for the sun or shade. . A spotted gum wooden deck with 2 large palm trees accessed directly beside the house has stunning beach views providing another superb al-fresco area. There is also ample space to wander and play in the extensive gardens at the rear or pass through on the way to the beach below. Or you can relax at the garden settings in the front of the house with the sound of trickling water by the wall fountain in the formal garden. Garage parking for 1-2 cars (Maximum height 1.85 m) , or on street parking in such a quite cul de sac is often available as well. Electronic gate, Video intercom. Beds are made up. All linen and towels provided, as well as complete sets of quality crockery and cutlery and glasses. Gourmet kitchen equipment and appliances. 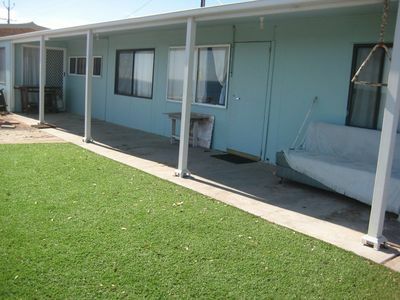 Wireless broadband internet, gas BBQ, Flat screen TV,DVD. 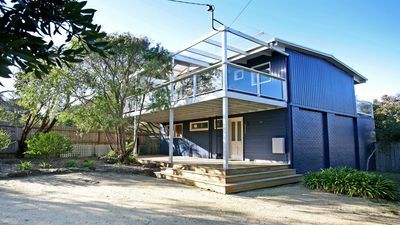 The house is positioned above the beach of Gordons Bay, on the famous Coogee to Bondi Beach Coastal tourist coastal walkway. A gate at the end of the private, terraced gardens leads directly to the beach below, nature reserve and coastal walk to Bondi Beach. 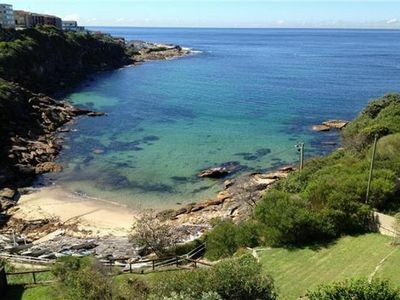 Gordons Bay is a secluded oasis, hidden north of Coogee Beach and south of Clovelly Beach. 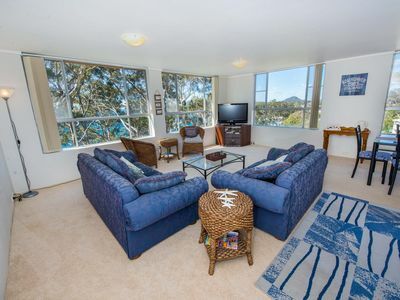 It can only be accessed by the public via the Coastal Walkway with parking available at either Coogee or Clovelly Beach. 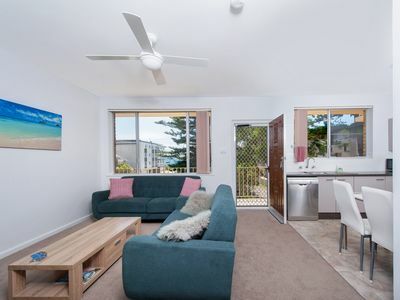 Gordons Bay is Sydney's exclusive secret hideaway beach in the Eastern Suburbs yet well located only 15 minutes to the city, Sydney Harbour or to the airport , . 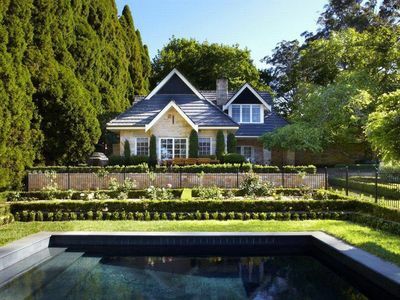 All houses in this coveted street, recognised as one of the best in Sydney eastern suburbs, are multi million dollar properties. Amazing location. Spectacular views. World class. Memorable. 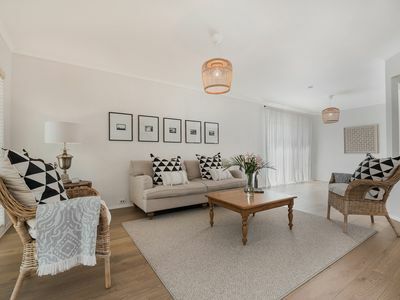 Originally used as a coastal retreat by Sydney's wealthiest families, Coogee has long since opened its doors to people from all walks of life. However, its free standing coastal properties remain refuges for the rich, with beach and ocean views to envy. 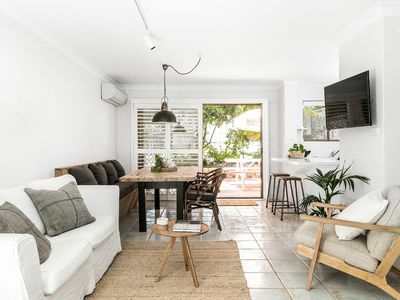 Serviced by bus and about seven kilometres from the CBD, Coogee is perhaps a little quieter than its infamous neighbour Bondi, but offers similar amenities. 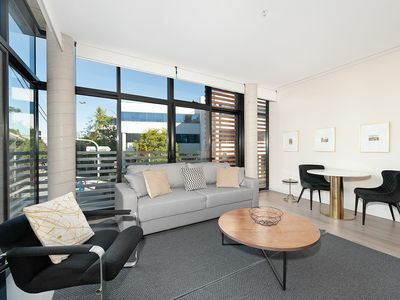 It is close to serious retail therapy at Bondi Junction and greener pursuits at Centennial Park. The coastal walks remain hugely popular, particularly when Sculpture by the Sea hits town. We rented the house for 8 nights overlooking Gordon's bay, it was everything we had hoped it to be! 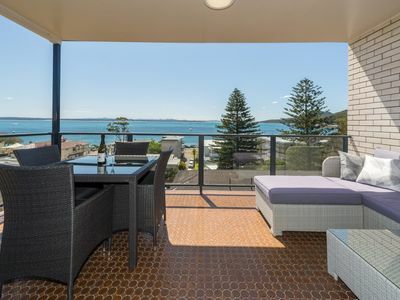 The location was fabulous & we particularly enjoyed being able to walk down the garden to the bay & to Coogee beach, yet far away enough to be quiet & relaxing. The house was delightfully presented, clean & organised, complete with all equipment required for a pleasant home away from home stay. A fully inclusive booklet of instructions & local information was supplied which we found very helpful too. 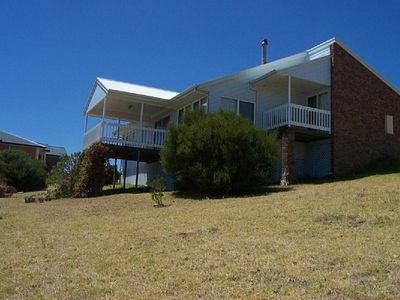 We are a family of 6 adults & found the house to cater for us easily regarding space & especially plenty of bathrooms. The views from the kitchen & living space are amazing & lying in bed listens to the waves lapping made it completely idyllic. This is a multi million dollar home, fully furnished and detailed appropriately. So, we require a Security Bond of $AUD3000 at or prior to Check-In. 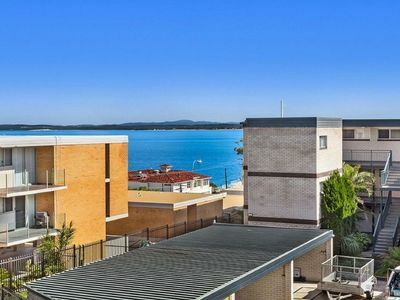 This is repaid to the Guest after Check-Out following an inspection of the property, although the Property Owner is entitled to deduct any reasonable and lawful costs incurred as a result of the Guest not adhering to the following Agreement. 1. 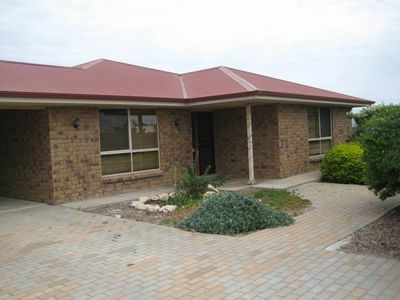 To maintain and leave the premises in a clean and tidy condition. All rubbish is to be disposed of properly in outside bins. If the property or its items are not clean, then additional cleaning may be charged at cost. 2. 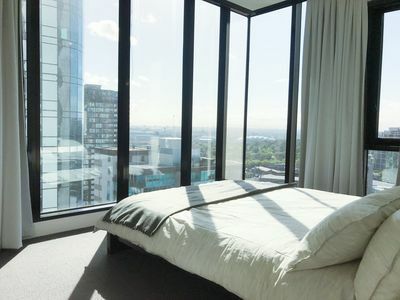 The premises will not be used for any purpose other than as residential accommodation and that no more than the number of people specified in the Guest's email application will be residing. 3. STRICTLY no parties or functions or gatherings of any kind are to be held without the written consent of Property Owner. 4. That the Guest or anyone on the premises during the Guest's stay will not cause a nuisance or annoyance to neighbours by loud noise or offensive behaviour or language. 5. That should any of the rules 2, 3 and 4 above be broken, then the Property Owner or his agent is entitled to re-enter the premises and on their own appraisal, may elect to provide a warning or to terminate the stay immediately without owing compensation to the tenant. 6. To pay the cost of repair or replacement for any item(s) damaged or removed from the property. 7. Not to move (so as to protect the floors) or remove any of the furniture or effects from the premises. 8. Not to keep any animal or bird on the property. 9. Smoking is not permitted inside the house or within 4 metres from any door or window and should not inconvenience any occupant or neighbor. 10. No responsibility taken for the Guest's personal property. 11.Excessive heating or energy costs may attract additional fees.